Our friends at The Chai Company, Director of Operations Simon Lam and QA Manager Barbara Jedrzejewska, were kind enough to sit down with us and discuss how they solved some of their operational efficiency challenges by going digital and creating a centralized data hub for vendor management, inventory, food safety, and quality assurance with the Icicle food manufacturing software. 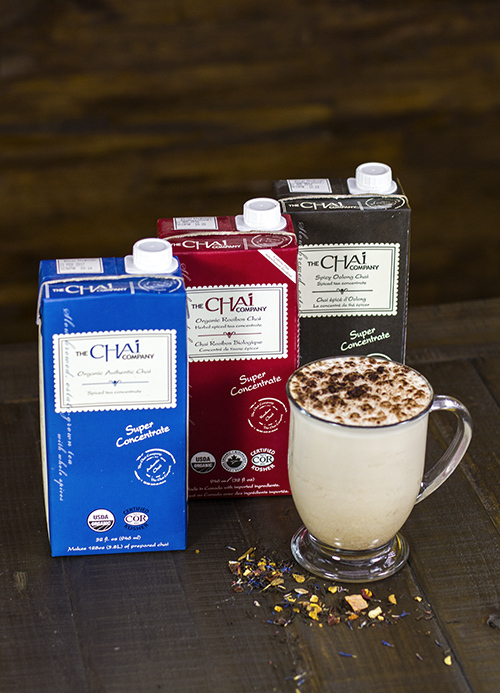 Most chai makers use artificial flavorings to produce that rich spice flavor we know and love about chai, but The Chai Company raises the bar higher. They create chai concentrates with slow-brewed, natural, organic, raw ingredients in small batches so they can manage consistency – with no flavorings, extracts, or powders necessary and no chemical aftertaste. The concentrates are then strained, sweetened, acidified, and pasteurized to assure food safety and extend shelf-life. All these steps take time – more than most companies would want to commit to production – and satisfy the brand’s mission of creating a healthy, natural product that everyone can appreciate. Cafes, restaurants, and regular consumers simply mix the concentrate with other liquids, like hot water or steamed milk, to create their drinks. The higher level of quality and safety – bolstered by SQF certification – makes the Chai Company stand out, but it also creates more challenges for them. Behind the scenes, the Chai Company’s production system is rather complex, with a single production run that involves their primary production facility, multiple co-packers to handle other aspects of production like packaging, and four warehouses (two in the US, one in Canada, and one in the UK). Each warehouse has its own management system and process. The manufacturing paradigm is necessary to meet the company’s high standards, but it is a lot to manage – especially with a limited number of employees to run the show. Some of the challenges were in the little things (if an ingredient arrives from a supplier that is not the manufacturer, which of the labels should be scanned for their own production?) while other aspects were much more difficult. One of the biggest things the Chai Company was looking to change was the way they handled their documentation. Everything was kept on physical documents. Some things were scanned into the cloud, some things were inserted into Excel spreadsheets. Most of it was kept in folders in the office. This made audits, supplier certifications, and recalls exponentially more laborious. The Chai Company needed a way to streamline their recordkeeping and documentation if they wanted to be able to continue growing while maintaining their high standards. The paper system had worked when they were just starting out, but it couldn’t scale with them. It was too static, too disjointed, and bound to physical folders – and it just wasn’t going to cut it for their business. Icicle was recommended to the Chai Company by Karine Lawrence, a consultant who was working with the Post-Farm Food Safety and Traceability Program. They quickly saw Icicle as the fastest way to solve the problem of their disconnected records. After seeing it in action, they took the plunge without needing to evaluate other possible software providers. The implementation process wasn’t only about solving the Chai Company’s challenges. Icicle had never been used by a business with such a complex manufacturing paradigm before. The Chai Company folks need special functions like the ability to ship between different facilities within the context of the same production run. Their small batch approach, which helps ensure the highest quality, means that they use the product produced by the small batches to make yet more products, meaning that their production run is also not linear like most companies. These complexities meant that the Icicle team had to do a bunch of development in order for the Chai Company to seamlessly integrate Icicle into their production. Implementation began with entering the Chai Company’s database of customers and suppliers into Icicle. They then worked with the Icicle team to set up all their recipes and their HACCP plan and create tailored templates for their various processes. They continued to adopt other Icicle features, quickly moving to production checks, quality checks, sanitation procedures, and more into Icicle. Most recently, they adopted pest control reports and parts of Icicle’s maintenance management as well. They even found use for features that they hadn’t anticipated, like First Aid Reports. While some of the employees had a rough time remembering how to insert all the data into Icicle correctly at first, the custom templates and easy-to-use interfaces eventually smoothed out those issues. Inventory management is smooth and streamlined. 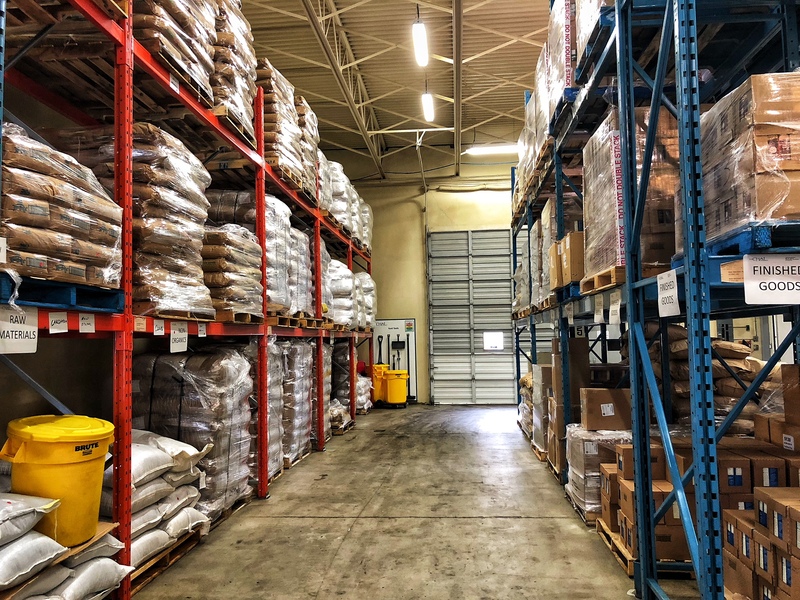 The team can easily track ingredients, products, transactions, and other specific logs from any location (including four different warehouses) via the centralized Icicle app without having to find and pull up specific scanned or physical documents. They also get to see the movement of their products in real-time. Supplier certifications are always up-to-date. Before Icicle, Barbara had to constantly revisit her certification folder to check what needed updating, like expiry dates, and it was a big burden for her and the QA department. Now she can easily look up certificates in the Vendor Management database and copy/paste the information that needs to be updated for the supplier, who then knows exactly what she needs. No more human errors. Reading handwritten notes and reports wasn’t always easy, and sometimes the notes were simply incorrect. Now all the necessary information is recorded digitally and often automatically, so this is no longer a concern. Icicle even makes some common errors impossible; for example, if an ingredient isn’t available, you can’t record it as consumed during that production run. Employees can do their work better. While the transition from writing everything down on a clipboard had its moments, by using Icicle, employees on the floor can ultimately benefit from the big picture – like the ability to see production forecasts – and are able to provide more oversight during production itself. Managers like Barbara, who are often overloaded with work, can benefit from the ability to automate a lot of their tasks and trend reports to keep ahead of the game. Managers can monitor production remotely. Frequent travel used to make it harder for Barbara and Simon to keep up with QA schedules and procedures, but now that they can track those things from anywhere, they’re always informed and in touch with what’s going on at the facilities – and they can catch problems quickly, before they become big problems. Like we’ve shown, The Chai Company must manage a lot of information to meet their high standards. They also have multiple certifications that all need different information: organic, Kosher, and SQF. The benefits of Icicle were clear from the start, but they really shined when it came to managing information – especially when the audit came around. There was no shuffling through dozens of documents trying to find the right ingredient. It was all right there in Icicle, with the traceability history fully available. In the future, the Chai Company looks forward to using more of Icicle features, including accounting and IoT integration that will simplify their work even more. They see opportunities to take advantage of Icicle’s IoT infrastructure with Bell Canada by automating monitoring for things like the temperature in freezers, pH levels, and quantities of sugar. With a central data hub that simplifies vendor management, traceability, food safety, quality assurance, and more, The Chai Company is thriving as an ultra-efficient company. We’re thrilled to watch them grow and evolve further, and we’ll be there to support them along the way.